OK: It's kind of cute, for awhile. But what in the world is all this lavish praise about? 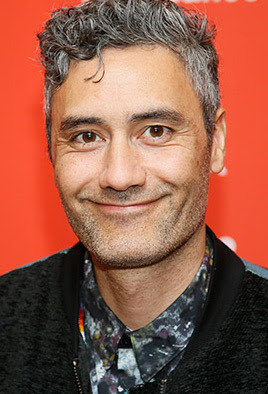 Taika Waititi (shown below) -- who earlier gave us the charming and oddball movies Eagle vs Shark and Boy, as well as co-writing, co-directing and co-starring in the funniest vampire comedy ever made -- has now come up with a film which he both adapted (from Barry Crump's book) and directed that is being hailed critically as though it were some kind of second coming. It ain't -- at least not for any film goer who's been around the block a time or two. HUNT FOR THE WILDERPEOPLE tells the tale of an overweight but quite charming adolescent boy who has been moved from foster home to foster home until he has one final chance at success and family by living with an older couple in the wilds of New Zealand. Fair enough. And as played by Julian Dennison (below) with so much talent and charm that the actor almost immediately counters the wretched reputation that this boy supposedly has. No matter. Young Mr. Dennison is enjoyable enough to watch that you'll initially give in to this rather silly conceit. 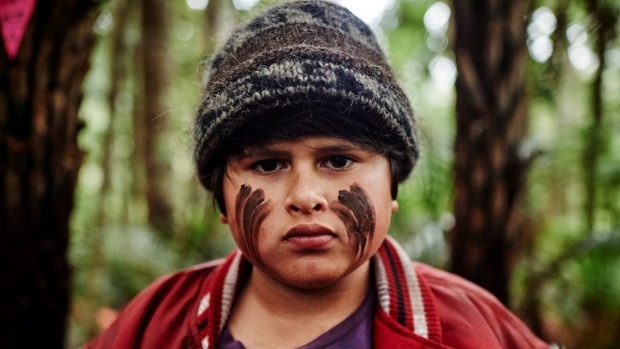 Unfortunately, filmmaker Waititi doubles down on the cutesiness and charm, as well as telling his tale in the most obvious manner so that we know everything important that is going to happen almost from the get-go. If a character mentions a final resting place, we know that character's gonna get there soon enough. 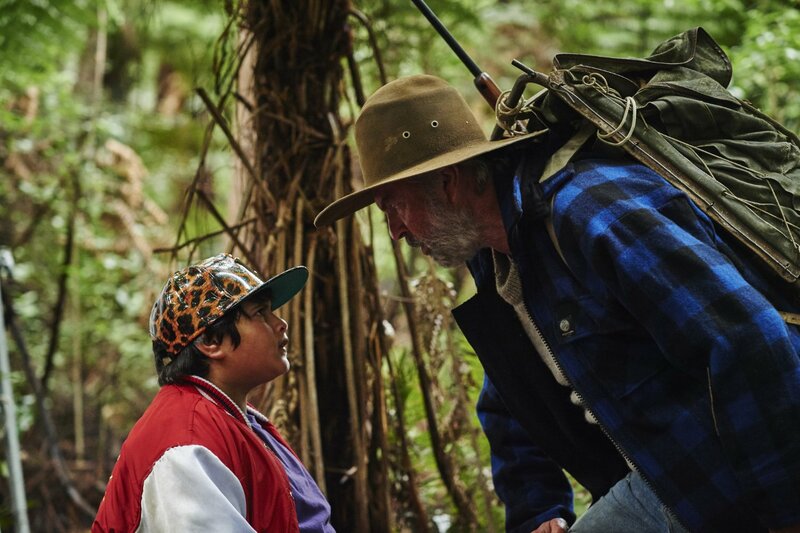 And if another character happens to be a crusty, unpleasant old codger (the fine Sam Neill, above, plays this role), you can be sure he'll warm up to our boy just fine. 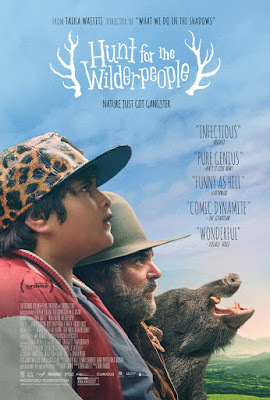 Nothing is ever in the slightest doubt here (which I suppose makes for easy viewing for the kids -- although even children do enjoy something scary and/or different now and again), while the would-be villains of the piece alternate between silly and stupid. Never are any of them -- from the social worker or the police (above) to the "vigilantes" hunting our two runaways (below) -- remotely believable. 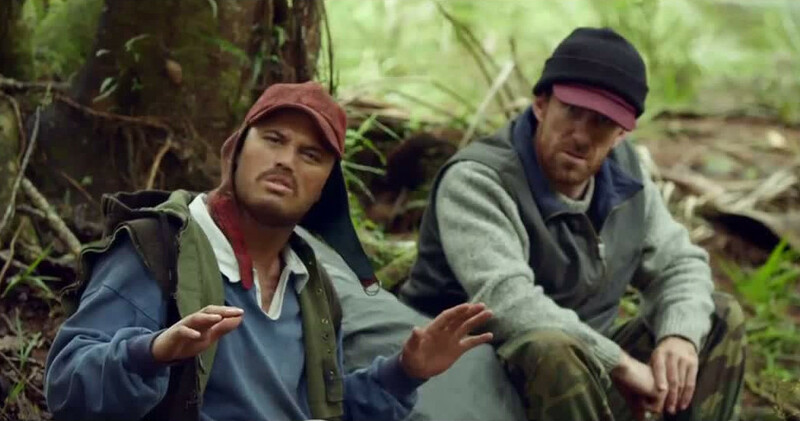 What surprised me most was Waititi's use of the most obvious choices, which I would not have expected from this guy. Maybe this was built into the original book by Crump. 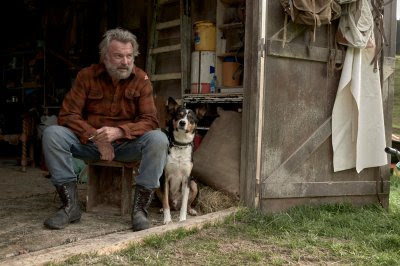 But the tale, as told here -- with boy and codger going on the run for what seems like ages -- just meanders and meanders until we're ready to cry uncle. Ten or fifteen minutes could easily have been cut from this movie with no loss whatsoever. 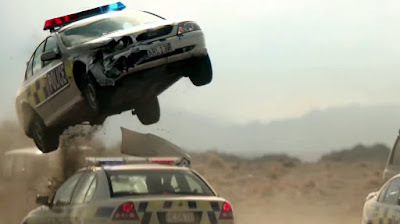 And finally, when we're more than ready to end all this all, instead we have to put up with a tiresome extended car chase which, at this point, seems like undue torture. Still, the New Zealand scenery is often gorgeous (when is it not? ), the use of haiku provides some fun, and a few of the performances rise above the silliness -- especially Dennison's, Neill's, and that of Rima Te Wiata, as the good wife, Bella.